Right Estate is a real estate listing portal specialised in the sale and purchase of many property typologies in Italy, among which the luxury ones. Right Estate was created from the experience and professionals’ synergy of the academic, Real Estate, IT programming and communication fields. On the Right Estate portal you will find hundreds of residential and commercial real estate listings in the most beautiful Italian areas and locations. Farmhouses, villas, farms, touristic accommodations are just a few of the many property typologies for sale on the website. The great variety of filters allows you to select the advertisements in the best way possible and to optimize your research focusing yourself in what you like only. Thanks to the completeness of every property tab, you will be able to get a precise idea of the property you like: state of repair, detailed description, plans and different photos to give you a great property research and selection experience. The Right Estate consultants are at your disposal to give you further information: it will be sufficient for you t to complete the form present in every property tab. Do you want to sell a property? Entrust yourself to the Right Estate professionals, a real estate portal working in the entire national territory, and discover how to sell your property in Italy or abroad in the minor time possible and at a right market value! Finding the ideal buyer for your property is the mission of the Right Estate Group. 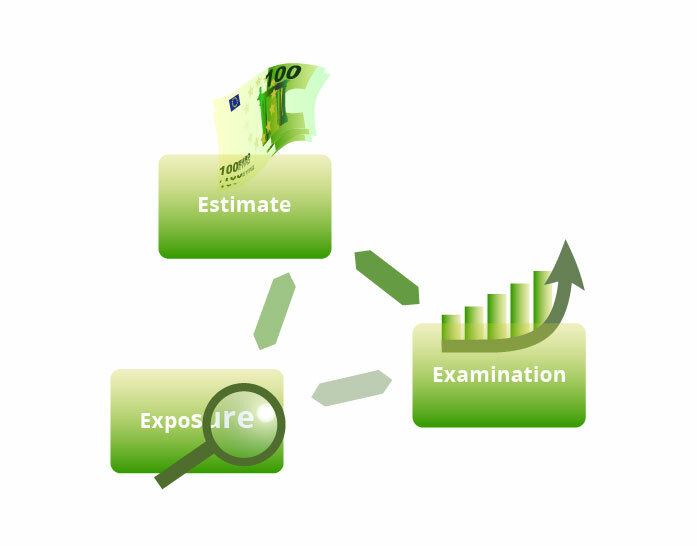 ESTIMATE: the objective estimation of your property. The union of academic studies and working experiences allowed the creation of a cutting-edge estimating system, a one-of-a-kind in the Italian real estate context. EXPOSURE: advertise your property through a 360° communication which you will choose. The experience of one of the best Italian Real Estate agencies available to everyone. EXAMINATION: the real-time check of the property advertising results. The communication experience of important Marketing companies and the Real Estate competence of one of the best Italian agencies created this tool, with which you will be able to check the market response in every moment. SALE: thanks to the regular and accurate observance of the previous phases, this is the last and most important part of the Right Estate Method. Through some cutting-edge IT and communication tools which valorise the sale processes objectivity, Right Estate makes the properties sale and purchase easy and clear. To be successful, a marketing plan has to be supported by a right property estimation and requested price. This is why Right Estate, a real estate agencies network with clients all over the world, makes a powerful real estate estimating software available. With a great precision, it is able to give you the right value of your property. Discover the right value of your property! Selling your property at the right market value will make your advertisement enter in the “Right price” property section, giving it so a higher charm. Do you want an even more accurate property estimation? Ask for the intervention of a Right Estate Group professional. The Group professionals know the market well and they were trained at the Real Estate Academy to acquire the know-how needed to improve your property estimate. So, they will integrate and perfect the first property estimate which you will be able to calculate on-line too. Right Estate will support you during the creation of your advertisement, in order to make it complete and efficient. For this reason, it created some certification to reward the advertisement tab accuracy and help you to increase the quantity and the strength of your listings. In this way, you will be always aware about what to do to increase! Once identified the best sale price, you will be able to create and quickly start the marketing on your property. From this moment, you could also receive the interested buyers’ contacts. Checking what the market is currently responding compared to the amount you invested is more important than the investment itself. Compared to the other on-line agencies, the Right Estate portal distinguish itself for its way of informing you about all the useful data needed to better understand the visibility processes of your property by putting a sophisticated analysis and advertising results statistics at your disposal. If your property responds to some specific saleability and quality criteria and your objective is to obtain the highest visibility possible both in Italy and abroad, you will join the greatestate.it portal which collects a selection of the best certificated properties for sale. The advantages of having your advertisement on the Great Estate portal are many and include some extra-services aimed to make you reach the highest visibility on all the main real estate Italian channels, as well as, thanks to a professional translating service, on the international ones. Your property will appear under a unique brand, which will give it a prestigious and exclusive status.